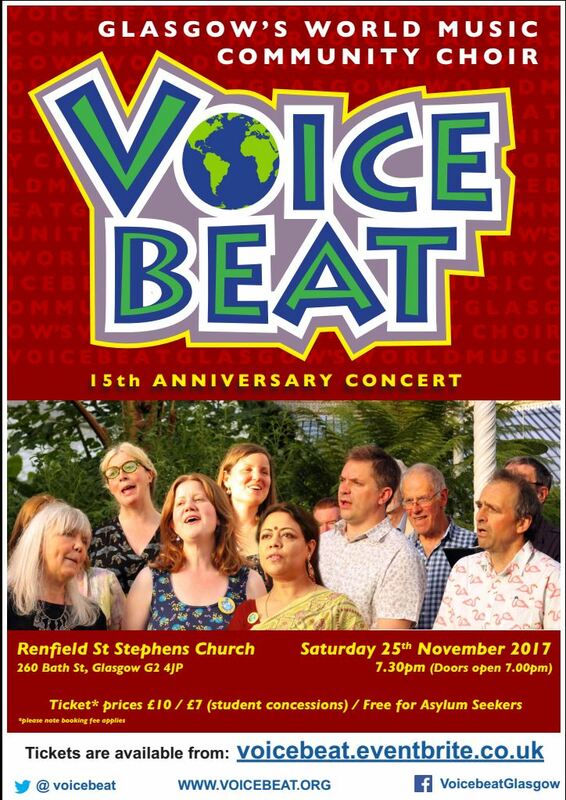 Celebrations started with a well-attended Fifteenth Anniversary Concert at Renfield St Stephen's Church on Bath St on 25 November. Poster right as JPG, or here as downloadable PDF. As well as celebrating 15 years by singing some favourite songs from our extensive repertoire, we launched our new CD and our Friends of Voicebeat scheme, talked about the history of Voicebeat with Frances Hume, who led the group from 2007 to 2009, ate cake and drank tea. A recent count of languages we've sung in over the years goes over 40. Under our present songleader we've sung 85 songs. At the concert we had time for just a dozen languages. No fewer than ten singers sang in a "semichorus", where a smaller group steps out from the choir to sing a verse by themselves. Here's a downloadable clip from one of those CD tracks, which we sang on the night. 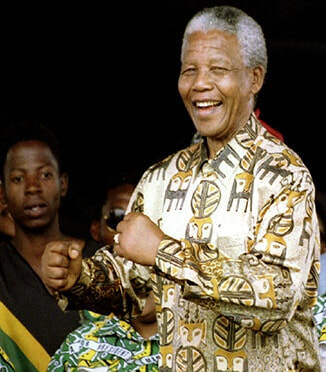 It's from a song by Johnny Clegg about Nelson Mandela when he was in prison for 27 years: "we have not seen him". Years later, Clegg was able to invite Mandela onto stage during the song. Now, it serves as his memorial, as sung flashmob-style by the Soweto Gospel Choir in a YouTube video that went viral in the days after Mandela's death. Our soloist on this clip is Peter Chua.